Also referred to as an “Island Continent” Australia is the world’s largest island and smallest continent. The population of Australia is 22.32 million (2011). The total area of Australia is 7.69 million sq. kms. English is the most widely spoken language in Australia. Australia is a country with a unique blend of old traditions and new influences. The country’s native inhabitants, the Aborigines and Torres Strait Islanders, are the custodians of one of the world’s oldest continuing cultures that is considered to be over 50,000 years old. The remaining Australia’s populace is immigrants or descendants of immigrants who arrived in Australia from various countries across the world. In the late 1940s, Australia’s population was around 7 million people and was primarily Anglo–Celtic. Since then, over 6 million migrants, including over 600,000 refugees, have settled in Australia, significantly broadening her social and cultural profile. Those moving to Australia must be aware that all goods entering into Australia are subject to Customs inspection and clearance. Unaccompanied baggage and household goods may be imported into Australia free of customs duty providing the personal and household effects have been owned and used overseas for (12) twelve months or more preceding the customer’s departure for Australia. Items not in this category, which have been owned and used for less than twelve months, will be subject to duty. The rates applicable vary and purchase receipts, invoices or the like arerequired to substantiate values involved. Australia is very dependent upon primary industries such as livestock and agriculture. Australia is fortunate, indeed unique, in its freedom from many diseases of humans, animals and plants which affect other parts of the world. As a result, quarantine regulations are strict and, if in any doubt, please check with us prior to shipment. With over 15 years of experience in relocating families to all over Australia we know the Australian customs and quarantine regulations and our experience staff will assist you in being well prepared ahead of time. 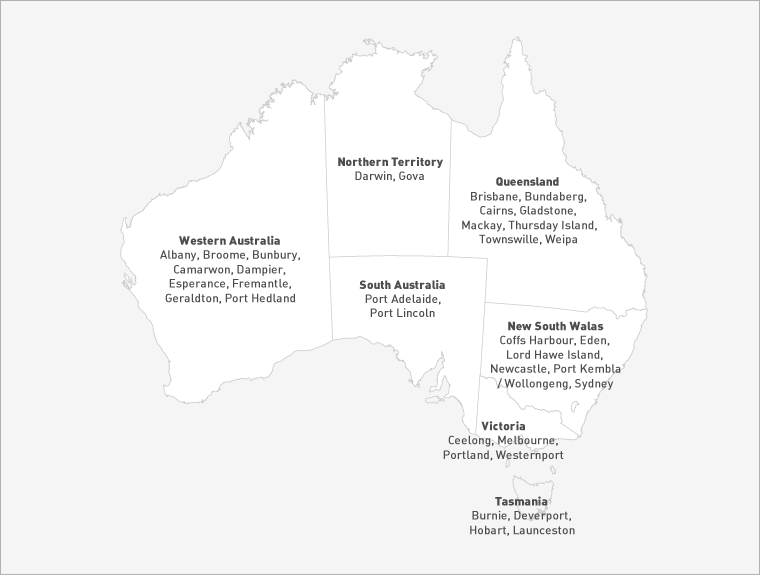 Our reputed agent partners all over Australia are committed to providing you with an unparalleled destination experience once your cargo reaches Australia. We provide door-to-door moving to Australia services for personal effects, household goods and automobiles to Adelaide, Brisbane, Fremantle, Hobart, Honiara, Lae, Melbourne and Sydney.